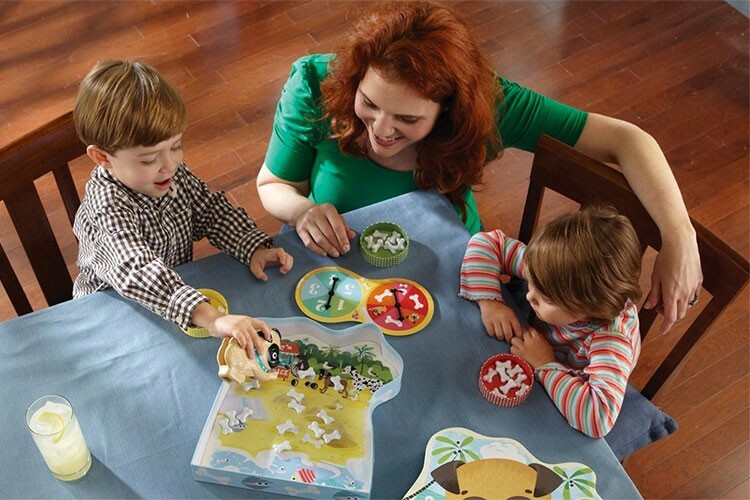 This preschool counting bone-anza from Educational Insights is a summer day trip to a dog beach! Shelby buried bones in the sand and needs your help collecting them. Help her dig up the most bones and you win! 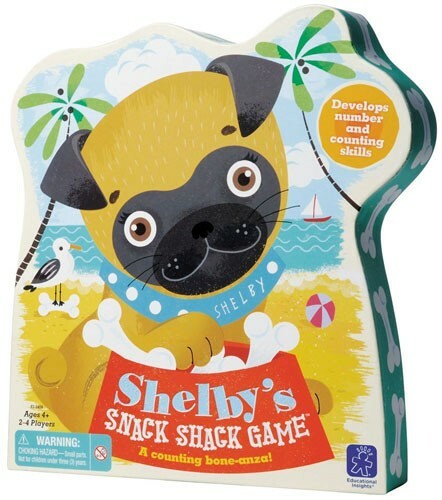 Kids take turns using the adorable Shelby Squeezers to fill their dog bowl with bones while they practice early counting and number skills. Sounds simple, but be careful -- spin a sneaky seagull and you'll lose some bones, or get sidetracked chewing a flip flop and miss your turn! 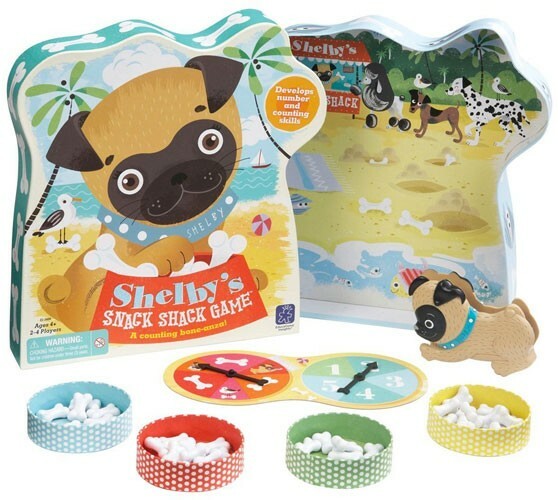 Shelby's Snack Shack helps children build skills including recognizing the numerals 1 to 5, counting, beginning addition and subtraction, pre-handwriting skills, social skills (such as taking turns and following directions), and simple strategic-thinking skills. The game comes with a colorful game board, 1 Shelby Squeezer, 40 bones, 4 bowls, 1 double game spinner, and game guide.